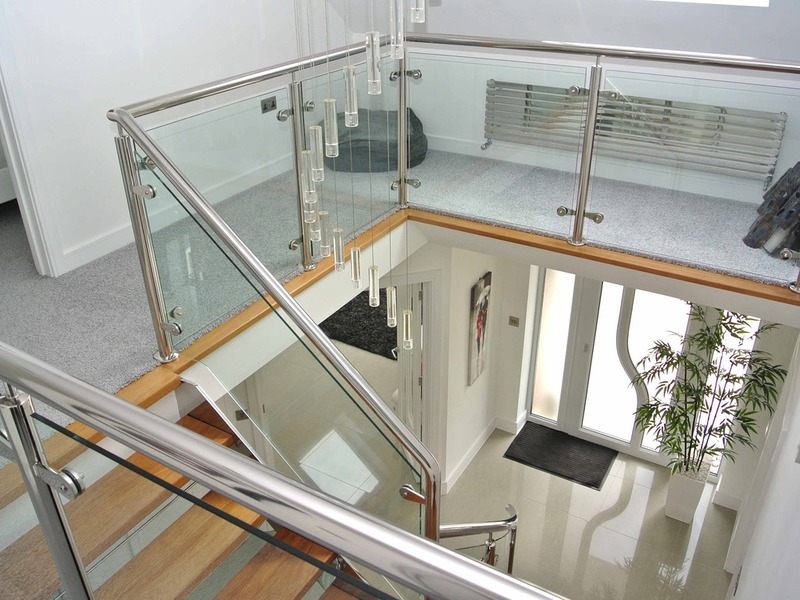 UNQUESTIONABLY ONE OF THE FINEST CONTEMPORARY HOMES IN THE PURBECKS, THIS STUNNING PROPERTY WAS BUILT BY THE CURRENT OWNERS OVER THE COURSE OF THE LAST FEW YEARS. UNQUESTIONABLY ONE OF FINEST CONTEMPORARY HOMES IN THE PURBECKS, THIS STUNNING PROPERTY WAS BUILT BY THE CURRENT OWNERS OVER THE COURSE OF THE LAST FEW YEARS. 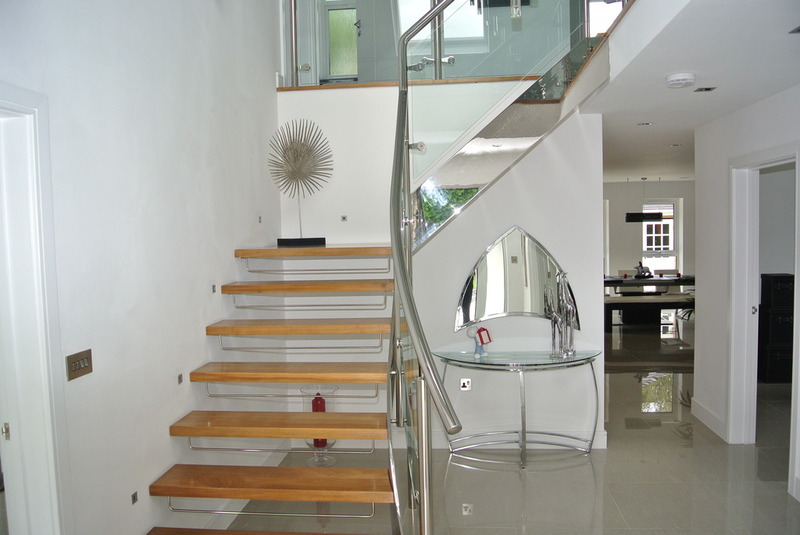 IT HAS BEEN CONSTRUCTED TO THE HIGHEST SPECIFICATION IN ALL AREAS AND OF PARTICULAR NOTE IS THE CURVING POLISHED STAINLESS STEEL STAIRCASE FORMING THE CENTRAL HEART OF THE HOUSE. IT GOES WITHOUT SAYING THAT VIEWING IS HIGHLY RECOMMENDED SO PLEASE CALL US TO ARRANGE YOUR APPOINTMENT. 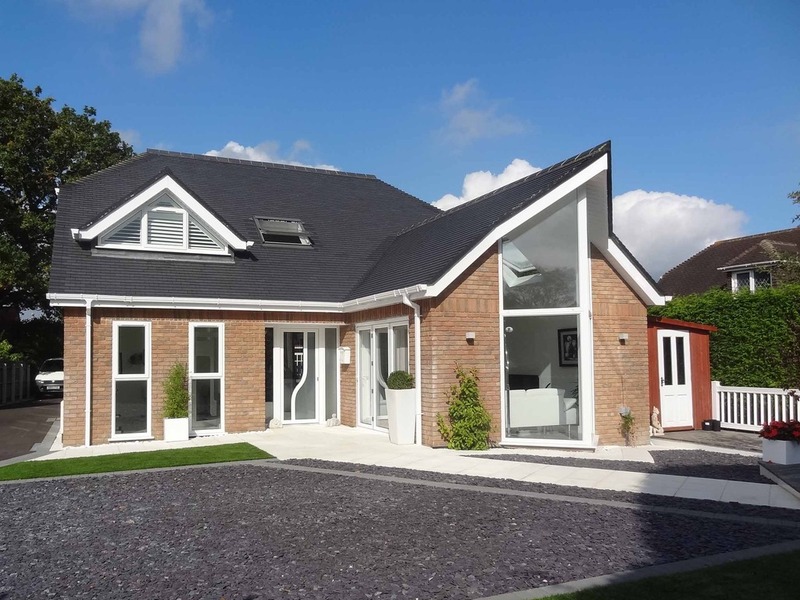 Built by the current owners to their own design and specification, this stunning house is surely one of the finest contemporary homes in the Purbeck region. 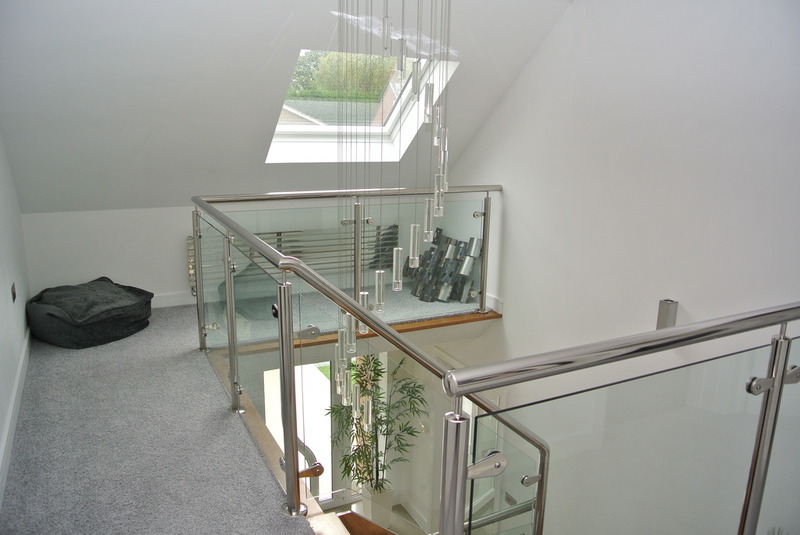 Whilst contemporary in every sense of the word it was lovingly designed and built by the current owners for their own use and hence retains a ‘homely’ feel which can be lacking in some of its contemporaries. 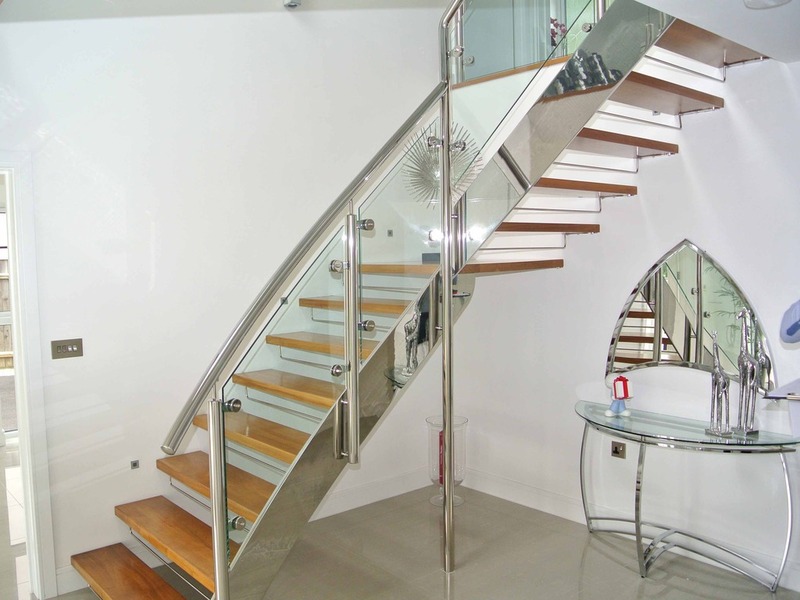 The accommodation ‘flows well’ with the particular features of the galleried landing and stairwell along with the huge and impeccably appointed family room and kitchen. 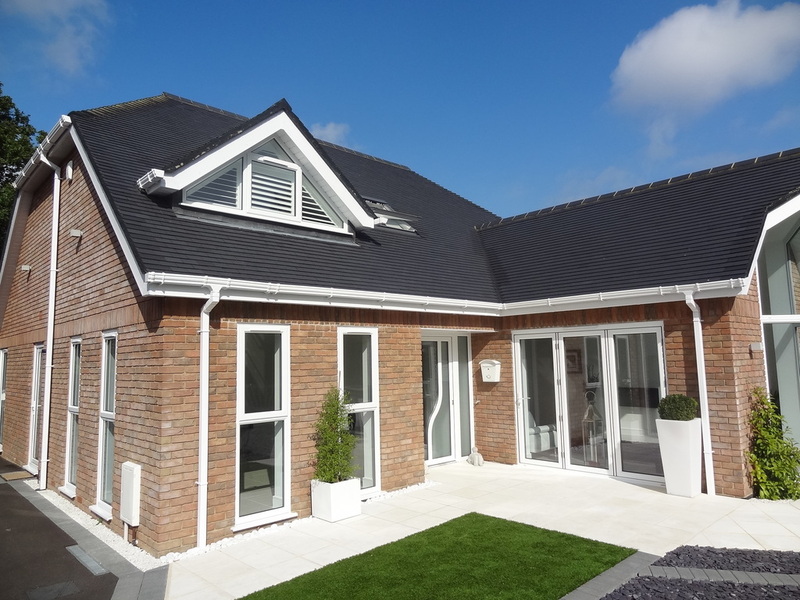 It was designed for low maintenance and therefore even the external patios and decking areas require very little attention making it potentially ideal also a holiday home for those traveling to the area. The busy market town of Wareham is less than a mile away where there is the usual shops and facilities whilst Wareham Station is on the main line through Bournemouth and up to Waterloo in London. Stoborough itself is a small village which acts as a gateway to the Arn Peninsula with its nature reserves and areas of outstanding natural beauty just a few minutes walk or a bike ride away. 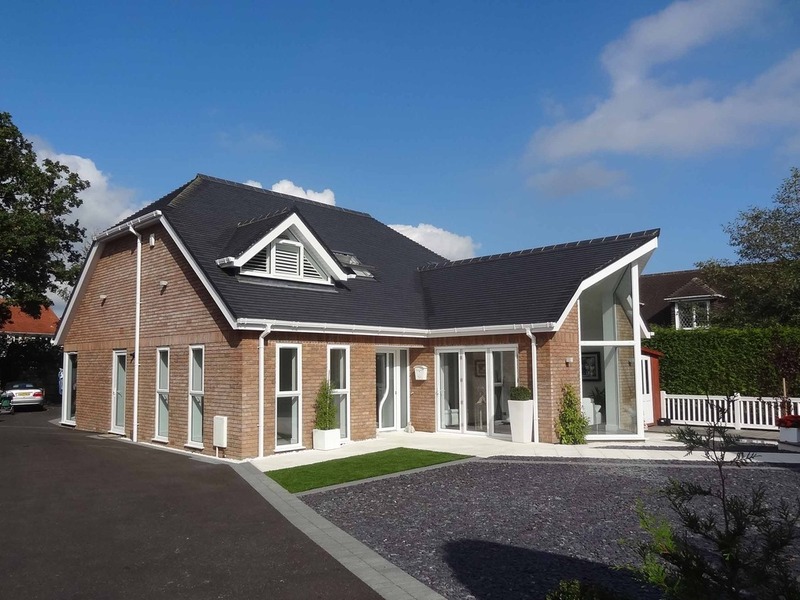 The details here can only give a brief impression of this lovely home and we would therefore recommend viewing at your earliest convenience to get a fuller appreciation. Please contact us directly to make this appointment or to clarify any other queries that you may have. 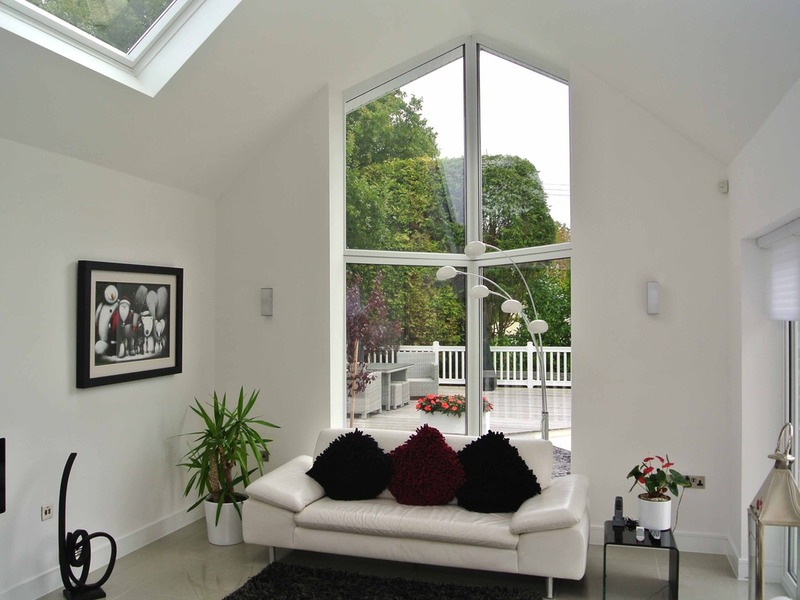 High level vaulted ceiling with roof lights and floor to ridge glazed gable to one end. 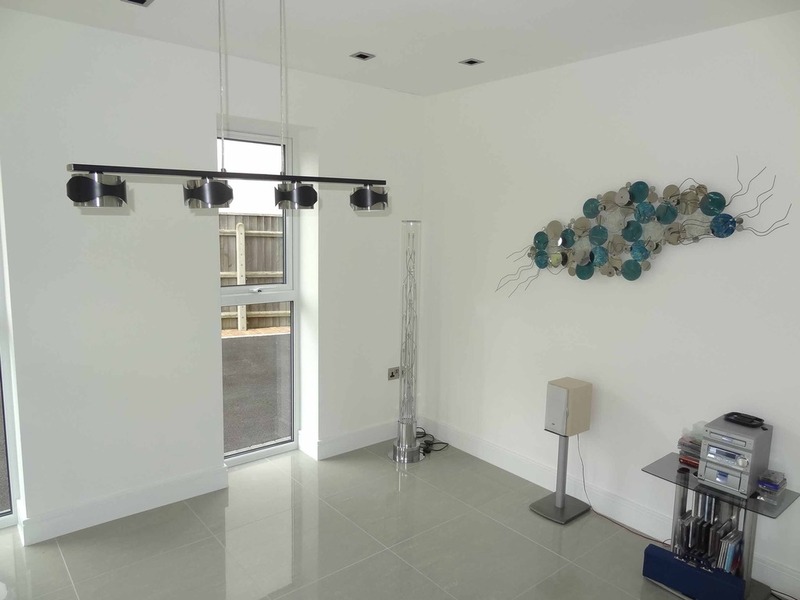 Further bifold doors to entrance area, To one wall is point for an electric fire and there are no radiators as the whole of the ground floor features state of the art under floor heating. Ample space for sofa suite, television etc. Floor to ceiling windows to both front and side aspects. Central light point over table area which could also be used a second living room or family room as there is a large dining area off the kitchen. Window to side aspect. Wall mounted mains consumer unit. Telephone, internet points etc. Obscured double glazed window to side aspect. 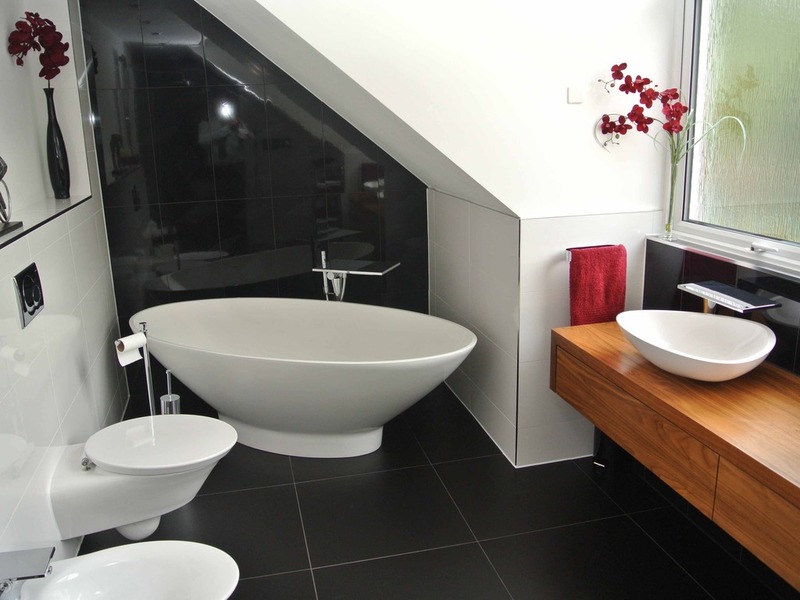 Fitted with a contemporary suite comprising boxed cistern WC (see photographs) and basin to side. 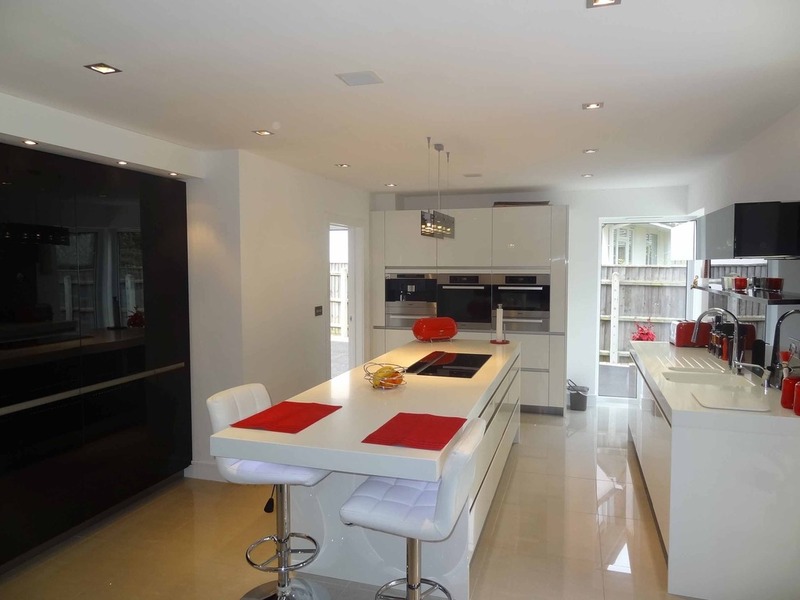 A core feature of any home, this ultra modern kitchen and living area retains a family friendly feel yet is fitted to the highest specification of design and appointment. 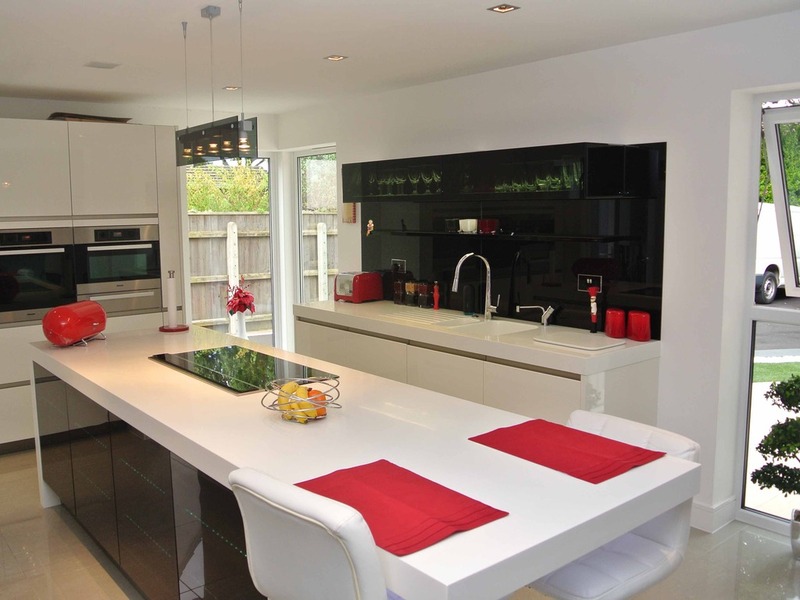 This is a Rational® kitchen design with illuminated glass fronted units. A central large island unit with breakfast bar to one end is then surrounded on three sides by a range of storage units and integrated appliances. Worktops are of Corian® design with glass splashbacks and to one side there is a sink with illuminated Franke® mixer tap with separate instant hot water tap to the side. Cooking facilities are provided by a NEFF® ceramic hob set in a central island with a Die Dietrich® pop up extractor fan to the rear. There is a Miele® pyrolitic oven to one end with a combination/microwave to the side and warming drawers under. There is also here an integrated espresso coffee maker. There are twin integrated fridge/freezer, one a 'Stay fresh' model and the other with ice maker. Two pull-out larder units. NEFF® dishwasher, integrated waste disposal. 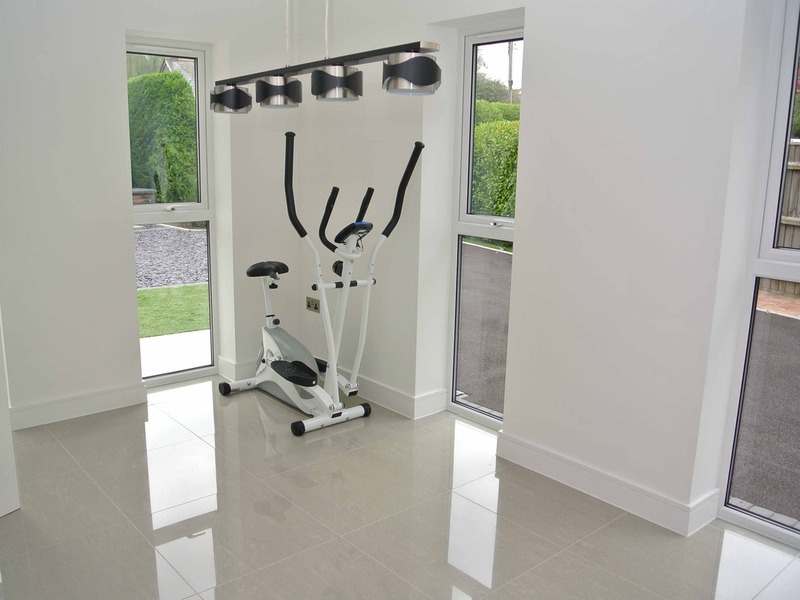 To one corner there are twin floor to ceiling windows overlooking the rear patio area and a door through to the separate utility room. Glazed door leading to side driveway. Space and plumbing for washing machine, tumble dryer etc. Gas fired boiler serving central heating system and domestic hot water. Further sink unit. Windows to rear aspect and door leading through to rear patio. 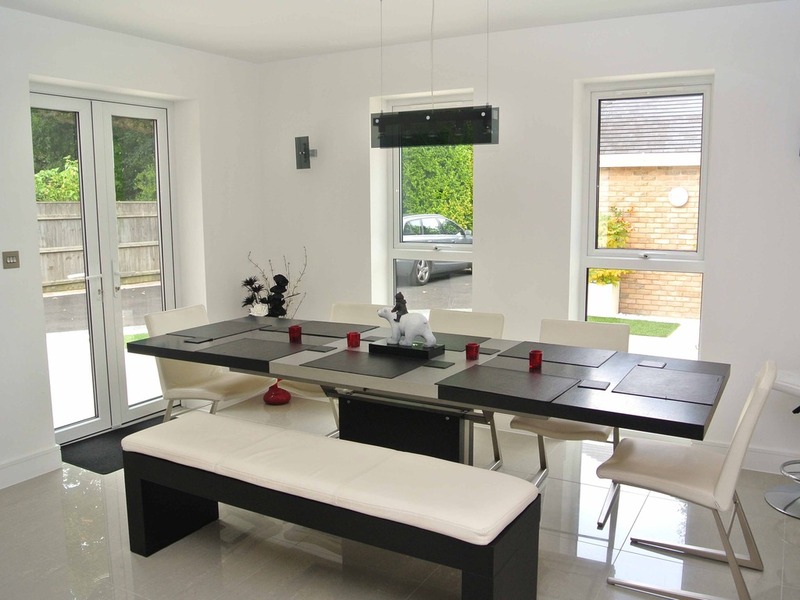 This extensive area (see photographs) provides ample space for a family sized dining table but there is even additional space for further sofa suites, sideboards etc as required. It is open to the kitchen but separated enough to provide two comfortable areas for both cooking and living. Obscured glazed window to side aspect. 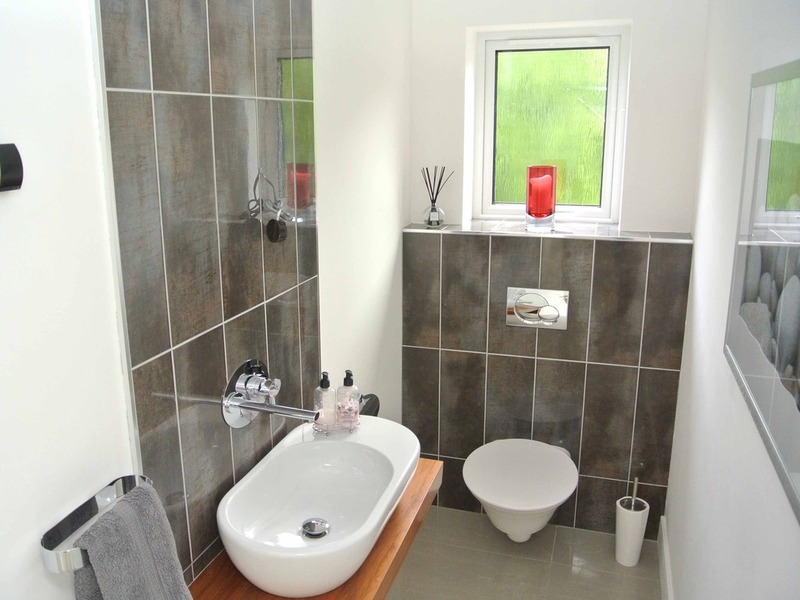 Fully tiled walls and floor as a wet room. 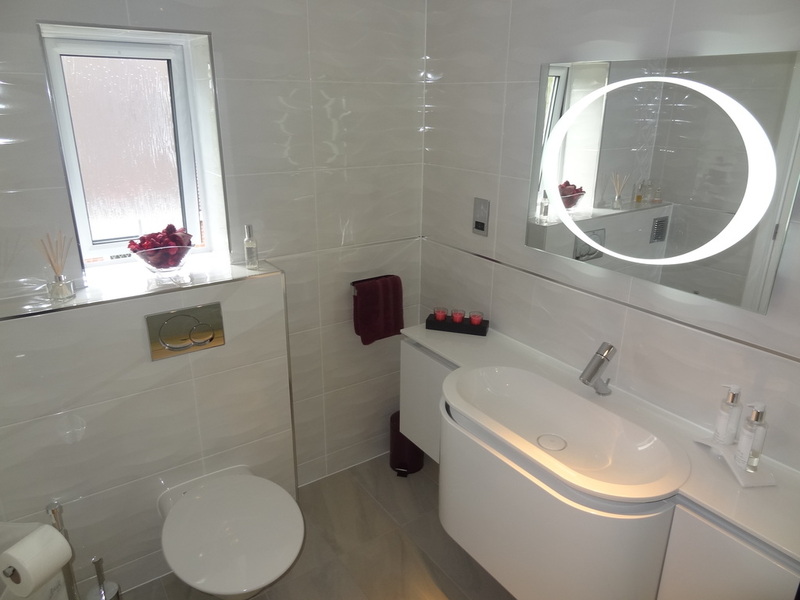 To the right hand side is a large walk-in shower with glazed screen to side with a basin in the centre inset into a selection of vanity storage and incorporating a WC. Chrome towel rail/radiator. Window to front aspect. 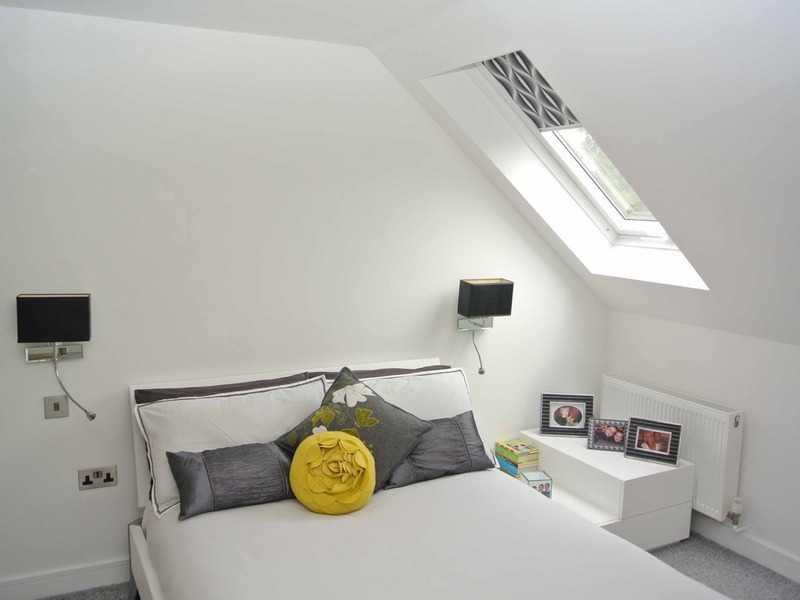 Ample space for fitted wardrobes, double bed etc. Velux style window to front aspect. 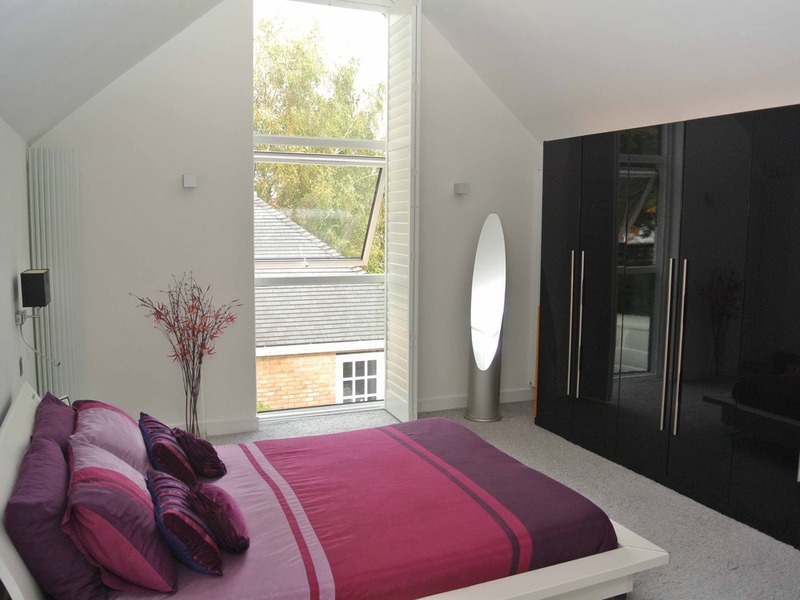 One devoted to a range of fitted wardrobes with hanging and shelf storage space internally. Space for double bed. 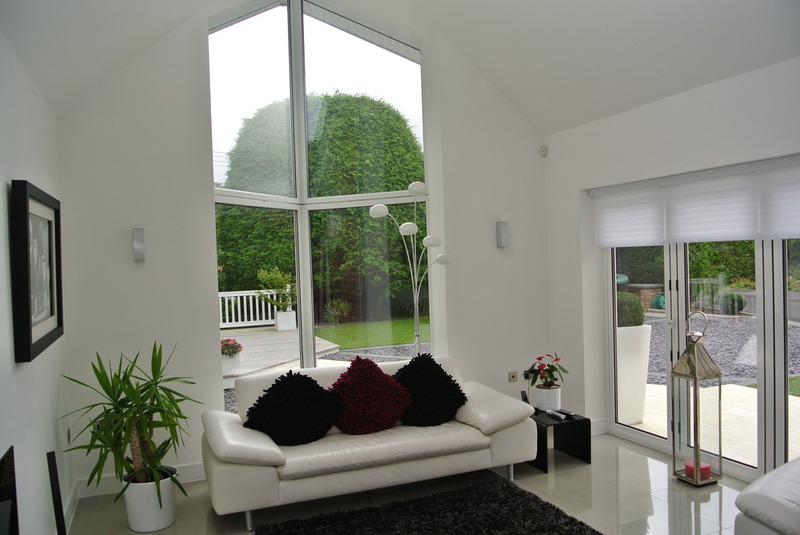 High level obscured glazed window to rear aspect matching the theme of the living room and master bedroom. There is a bay area to the rear fitted with twin basins inset into polished wood worktop. 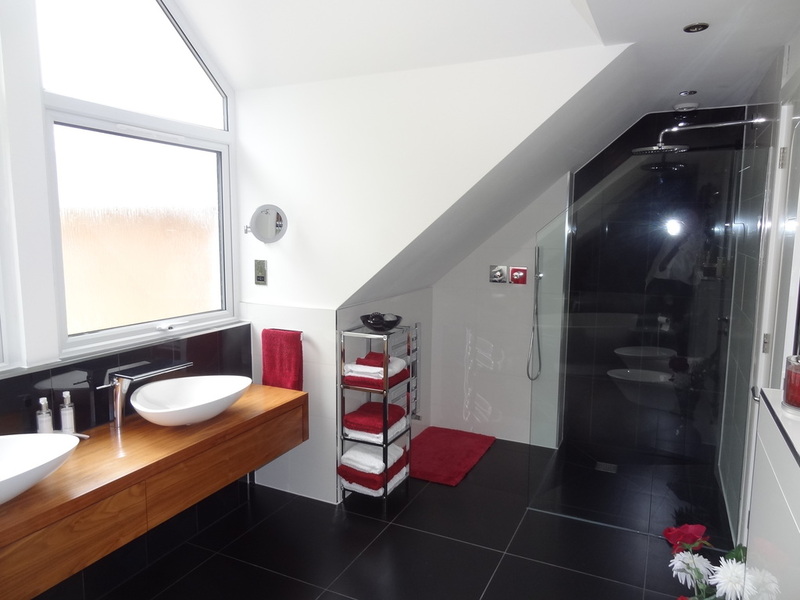 Whilst to the left is a freestanding contemporary bath with basin and WC and bidet to the side. 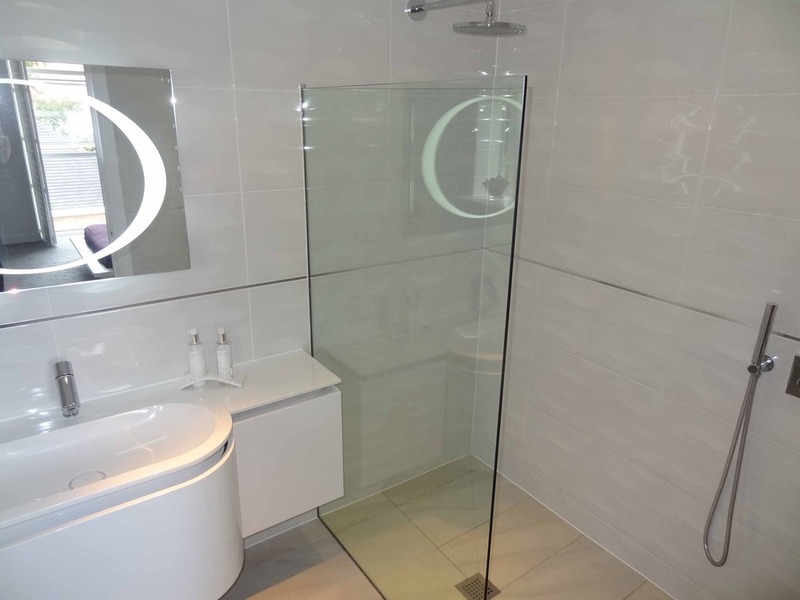 Additionally to the right hand side is a further walk-in shower cubicle similar to that of the en-suite built as a wet room and with glazed enclosure. 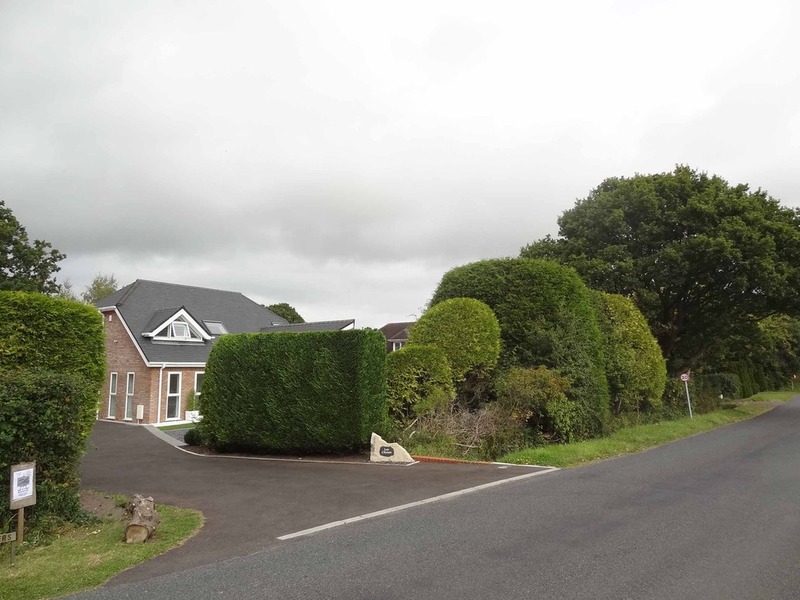 To the front the property is approached from New Road by a driveway which leads along the left hand side of the house through to the rear parking area and then in turn to the detached garage. 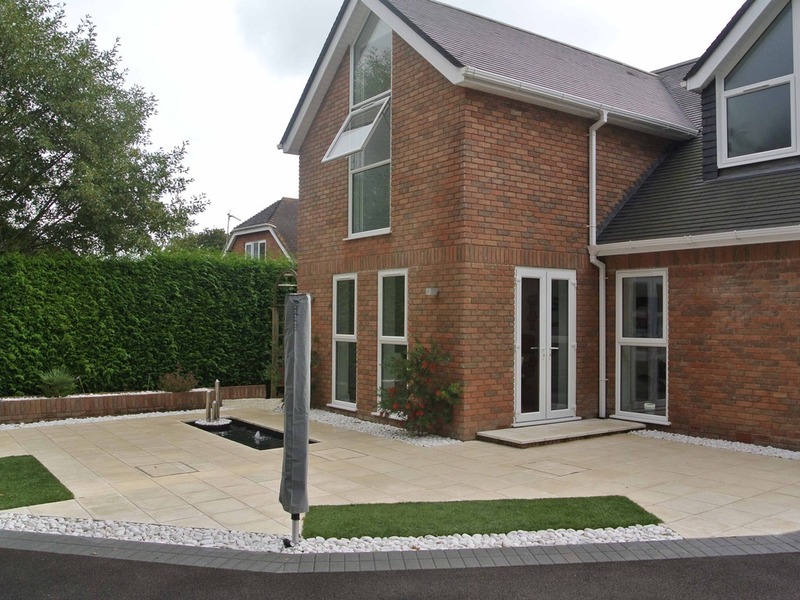 The gardens to both front and rear have been beautifully landscaped for low maintenance. The grassed areas are in fact artificial with a range of paths and patio areas to suite the time of day and al fresco dining. 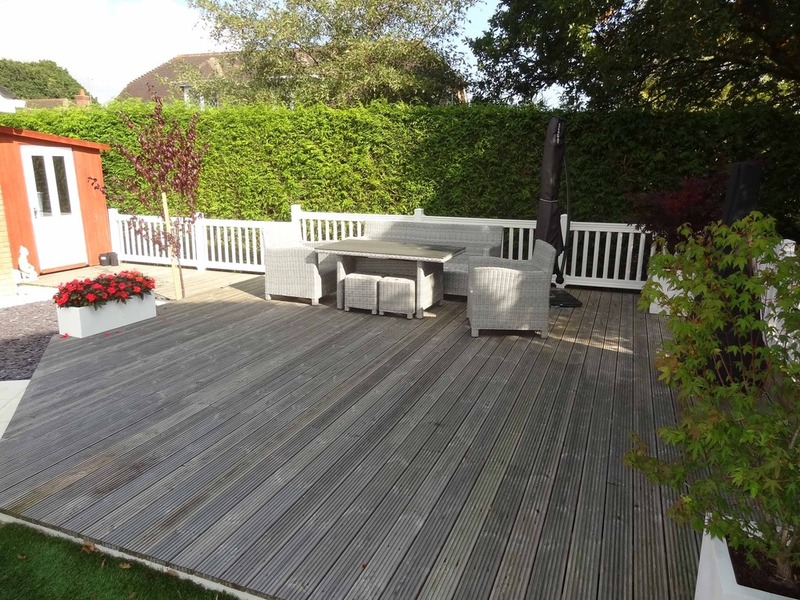 The front area is given privacy from the road by a high conifer hedge which gives both privacy and wind protection from an extensive slightly raised decking area set up for an outdoor garden suite or dining area. 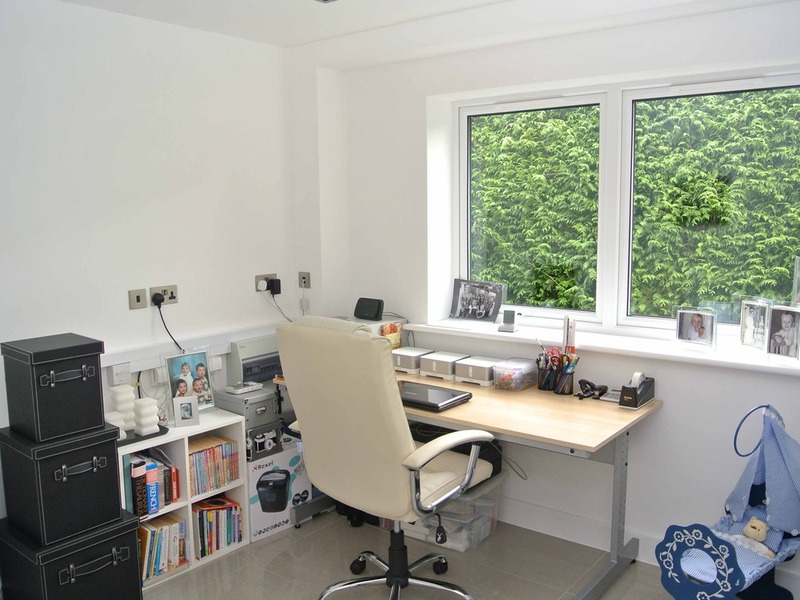 There is a second similar area although not decked, accessed via the doors from the kitchen between the house and the garage. There is a central shallow pond feature here with illuminated water feature, space for a further garden suite and to the left side is a shingle working area for the garden with ample additional storage space. Double in size of cavity brick and tile construction with electric up and over door to front aspect. 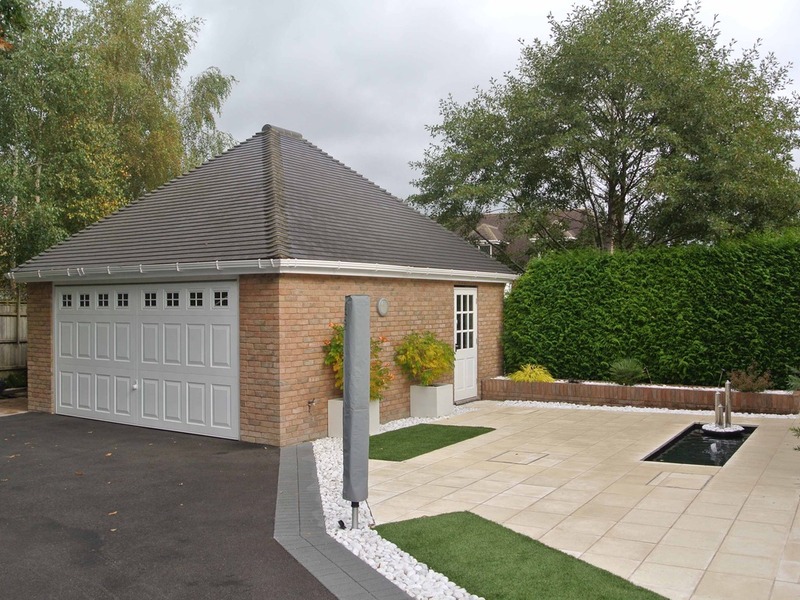 Personal door to side and pitched roof storage space. (Agent’s note: Power, light, water and drainage are connected to the garage for future convenience if required). Strictly via owners sole agents, Bullock & Lees. Call our Bournemouth office on 01202 302345 or our Christchurch office on 01202 484526.